truck driver placement company | Platinum Drivers Inc. When an organization or business is unable to handle the employment process, they turn to a placement agency for help. Despite outsourcing something most companies prefer to handle internally, there are many benefits to having an agency handle this. 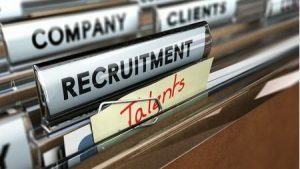 For starters, many placement agencies have a very high level or expertise on the industries they handle that tends to exceed some company’s human resources departments. They keep up on employment trends and recruitment practices to give you the best possible recruit for the job, which is something your average human resources department might not do. Using a placement agency also costs the company less money than having to go through and create a recruiting or human resources department. Then they ultimately wouldn’t have to pay those people placed in the department either. By doing this, they save money while at the same time also get very qualified employees to fill empty positions. Placement agencies also have a bigger network at their disposal than employers do. Where some companies would have to go through the process of listing job openings and go through the entire employment process just to get an idea of who’s available, an agency would have people they have already worked with and know who they could slip into the open position. By having someone to fill the open position, you would also cut down on turnover and increase retention. No company likes a high turnover either because it doesn’t allow them to run their business at an optimum level; a placement agency will give you a candidate they think will be a great fit and become an important member of your organization. Platinum Drivers is a CDL driver staffing and placement service providing truck drivers in all areas across the country including Florida, Georgia, Louisiana, Oklahoma and Texas. For more information on our services, feel free to contact us today! Will Self-Driving Trucks Destroy the United States? What is the Federal Motor Carrier Safety Administration? What is the Interview Process Like for Commercial Truck Drivers? What is Attentional Blindness and How Can You Overcome It? Which office are you contacting? What Makes a Truck Driving Candidate Qualified?